I have my pony back. Seriously, my DragonBeastMare has returned to me. 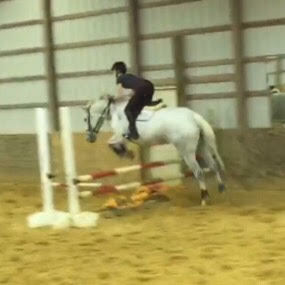 The horse that made me say “screw it” to my bank statements and dive back into this sport headfirst is back in action. You may have noticed over the last two months or so that Addy and I have been riding the struggle bus. 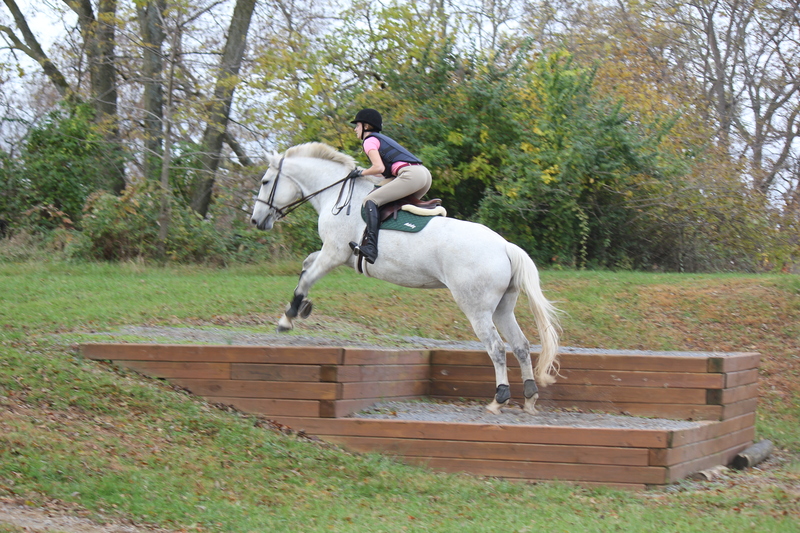 Nothing too crazy- she would get fast, or duck out, or sass me at odd times. All manageable things that we worked through little by little. But then she started showing signs of ulcers, and we had to go up a girth size. Homegirl was getting fat and sassy and achy. Just recently I told you all that we decided to cut her grain a bit. Well let me tell you: it is a night and day difference. All ulcer-y behavior has cleared up and my brave trusting pony has re-appeared. She is, as always, a total DragonMare and has not magically turned into a slowpoke (thank goodness, I don’t know what I would do with that), but she isn’t tuning me out anymore. 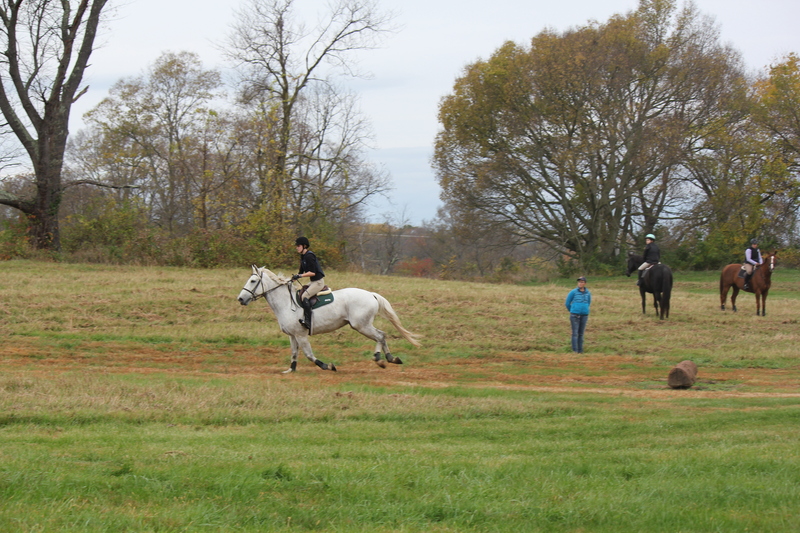 When I asked for a collected canter: after much snorting and gnashing of teeth, we got a nice tiny canter. 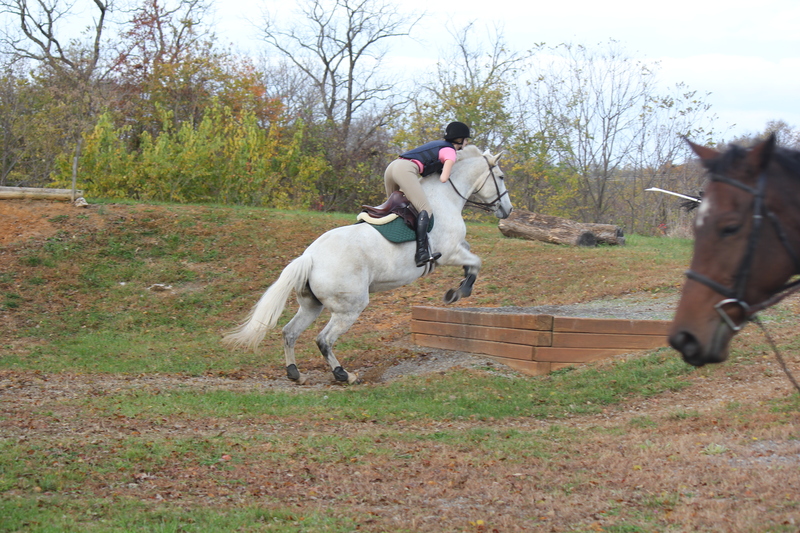 When I asked for the closer distance to almost every jump: no problem, she gave it to me. When I pointed her at the scary new coop jump she had been snorting at: carried me up and over without blinking. 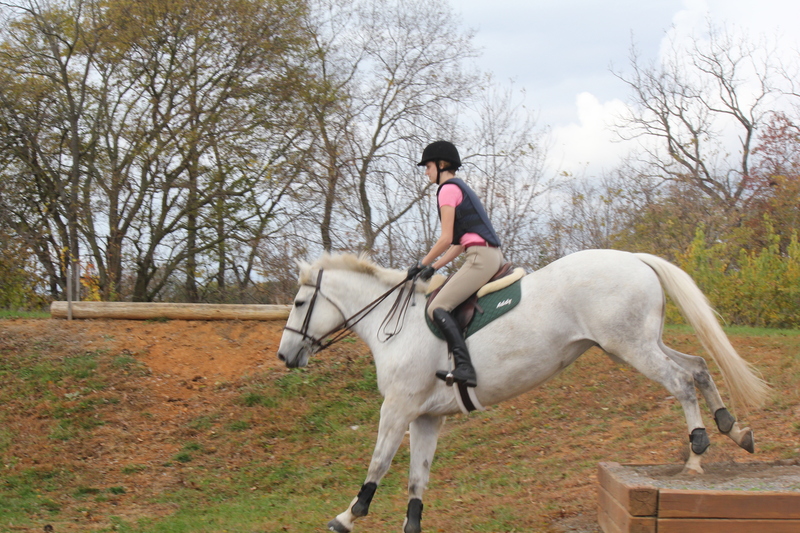 When my steering was vague and I turned her at a jump last minute: woohoo more jumps! 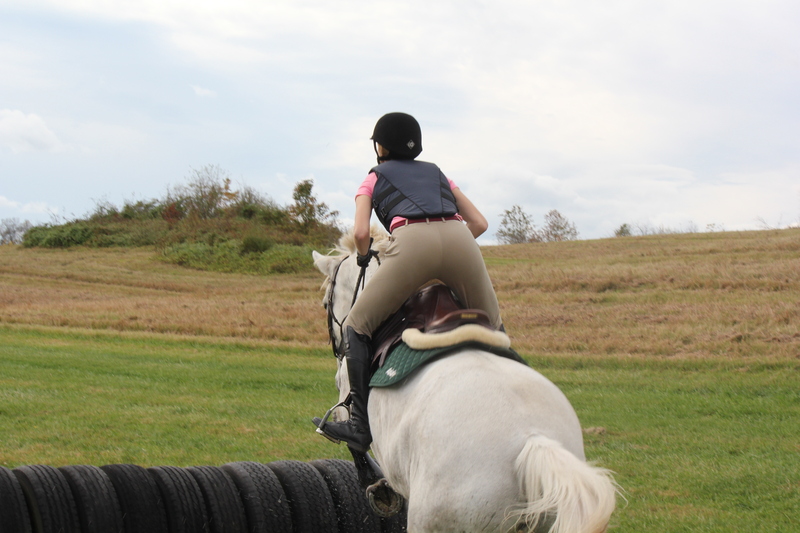 I didn’t say the short distance was pretty, just that she was willing to do it. We’re having FUN again. We’re trusting each other again. 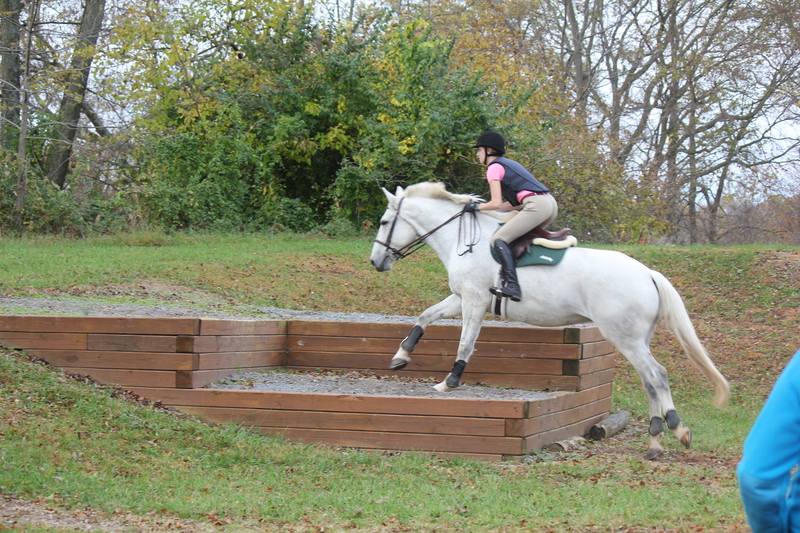 I’m not holding-holding-holding to the base of the jump because she’s charging at it; I can soften up to the base because she’s got one ear flicked back listening to me. 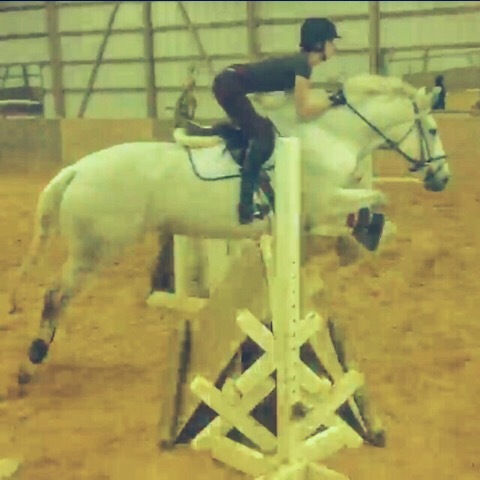 I’ve certainly learned a ton over the last few months, but I won’t pretend I’m not thrilled to have my confidence-boosting-safer-than-safe mare back. Big scary coop is not too scary for the DragonBeast. 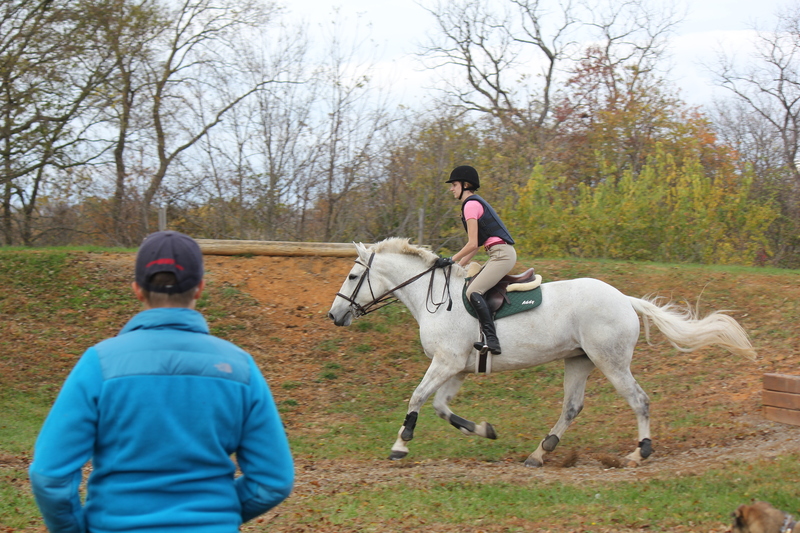 And what do you do when you have a safe happy mare that loved going out on a hunter pace? 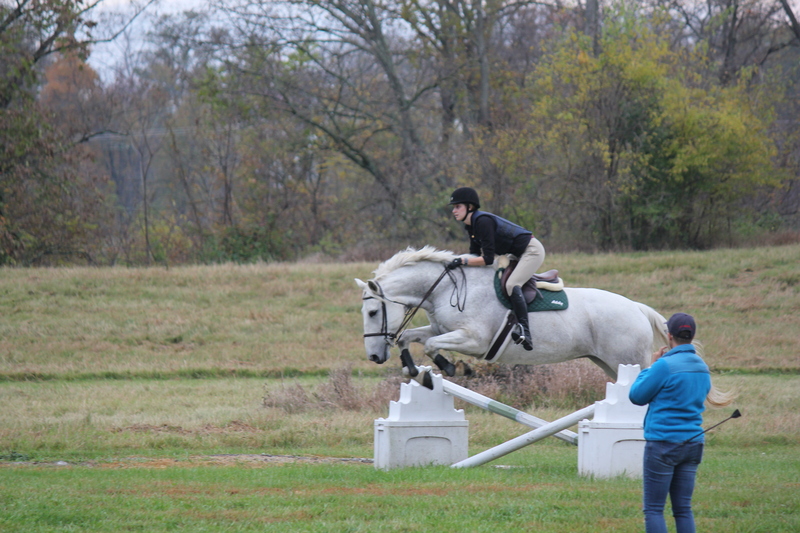 You take her cross country schooling!! We’re heading out on Sunday to play around and try some new things and I can’t WAIT! Somehow I think Beastly is going to absolutely love it. 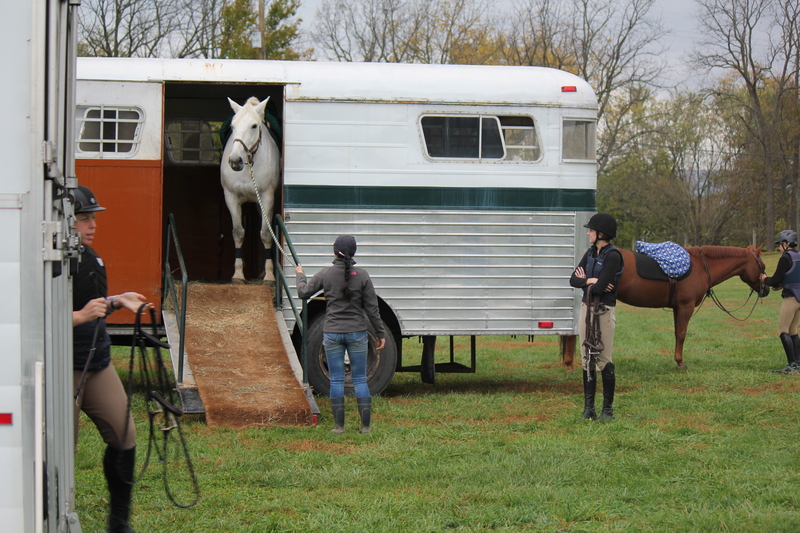 Have you ever noticed a huge behavior change due to changes in your horse’s nutrition? 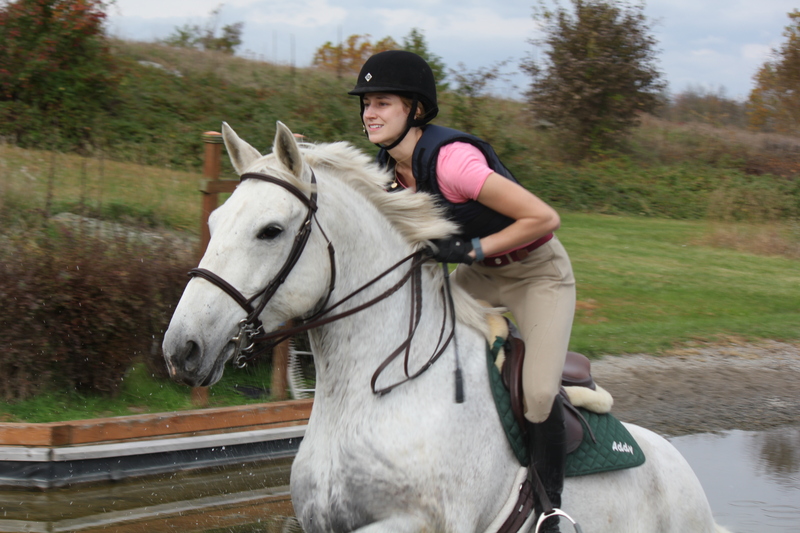 And any tips for a first time XC rider?